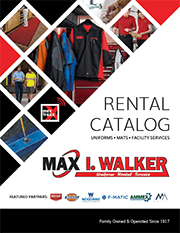 Max I. Walker offers custom garment solutions for companies who prefer to purchase uniform items rather than rent them. We have hundreds of items available for purchase. With top brand names including The North Face, Nike, Columbia, Cutter & Buck, and Ogio, we can match the perfect garment to your application. Whether it’s dress, outerwear, protective apparel or accessories, our team will put your logo anywhere! Custom apparel and accessories are the perfect way to show your appreciation to your employees or celebrate a company milestone. Your custom gear doesn’t have to stop at tee shirts, consider branding jackets, coats, bags and hats for you and your employees. Max I. Walker has both screenprinting and embroidery options to achieve the look you want. Contact us today to get started.